For those who have never heard of Reggae crooner Lymie Murray, just take a listen to the brilliant vocals behind deejay Wasp’s provocative single, ‘Cry Fi Dem’. Murray’s captivating, rich, soulful vocals also underline many reggae hits, including Etana’s “Wrong Address” and Jah Cure’s “Sticky” (Out Deh). Lymie performing at Jamaica Jazz and Blues 2010 to rave reviews! But on Thursday, March 25, LYMIE MURRAY will occupy his own space centre stage as Christopher’s Jazz Café in association with Mo Musyk Pros hosts the sought after vocalist live in concert. The singer, who has been wowing audiences since he began his solo career under a decade ago, will perform an array of songs from his ‘Start All Over’, ‘Happy Days’ , ‘Only Conversation’ and soon-to-be released ‘Deeper Roots’ albums. These include the popular ‘Only Conversation’; ‘Pool of Love’, ‘If I Could’, ‘and ‘Every time I Touch You’. LYMIE MURRAY will also perform his new single ‘Good Morning Jamaica’, which has been receiving heavy rotation on local radio as well as popular roots reggae singles “Rolling Thunder”, ‘If You Never Tried’, and ‘Break Free’. With an amazing body of work running on a continuum from lover’s rock to roots reggae, Lymie Murray delighted at the recent Jamaica Jazz Festival 2010, and proved that he can pull audiences in with his engaging and endearing performances. 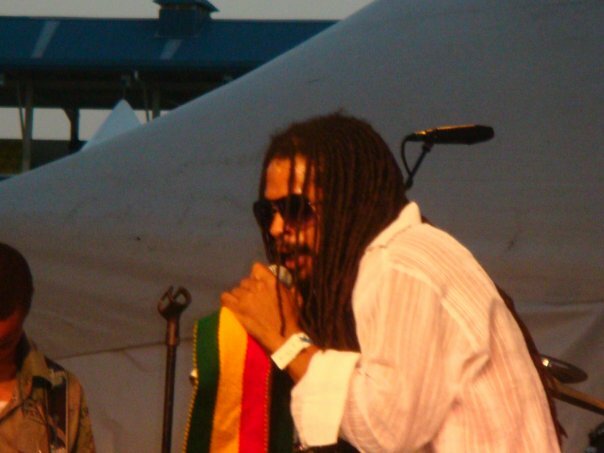 Indeed, this charming reggae singer is rated as one of the most gifted vocalists of the modern reggae era. Many Jamaican artistes, including Beres Hammond, Luciano and Tarrus Riley, rave about this gem of a singer. For his part, LYMIE MURRAY says “don’t take their word for it; come and experience LYMIE for yourself”! The performance will run from 7:30pm-11pm. Contribution $500 (including complimentary drink). Tickets are available at Christopher’s on show night! And read his interview with The Lime HERE!